Spring 2016 Collection: Meet Heidi! 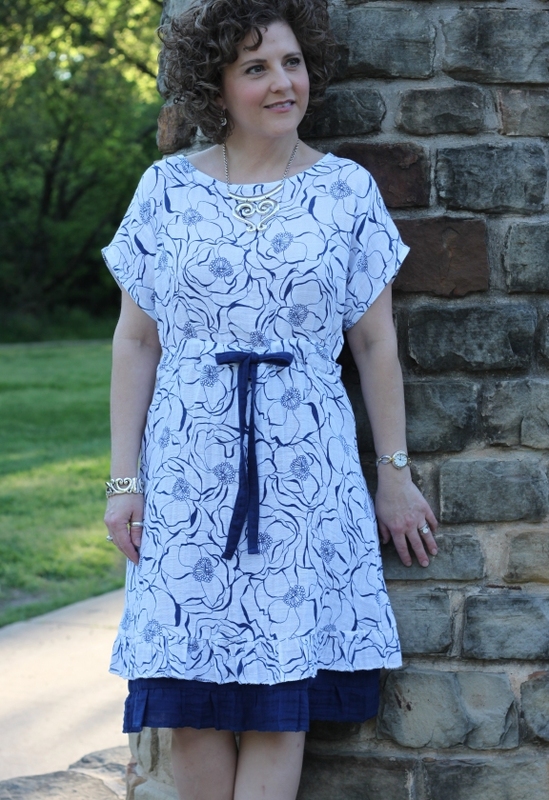 Our second design for the spring is the Heidi Dress. 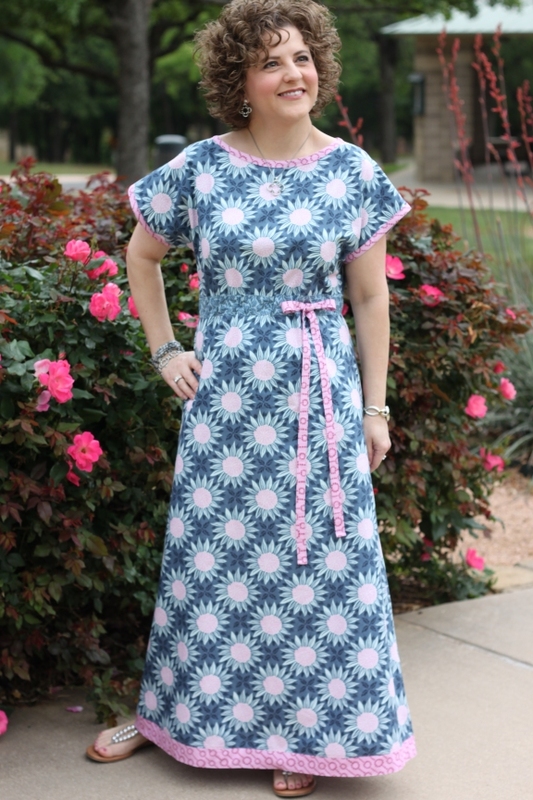 Patterned after our most popular pattern to date, the Diane Kimono dress, this new design has the same great fit and construction. 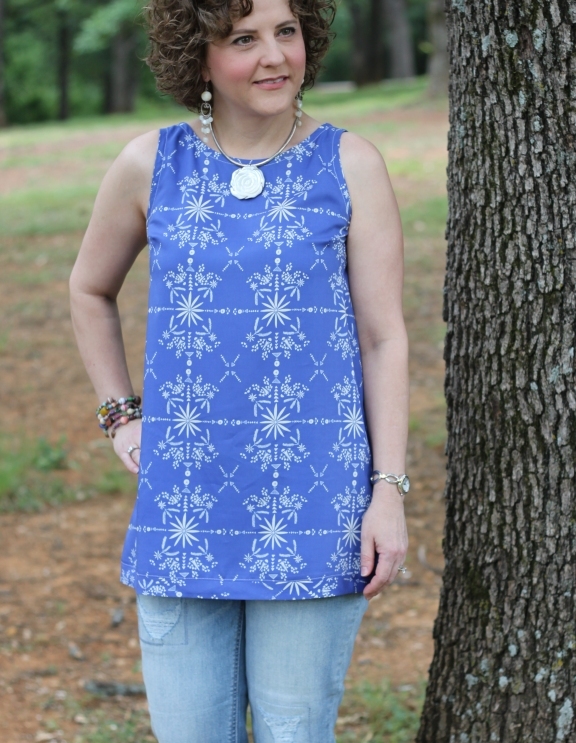 With bias bound armholes and neckline, there is no need to worry with any facings! This is a pullover design so there is no zipper to worry with, either. I have provided an option to split the bodice into a contrasting center front and back, so you can feature several prints from a collection. The skirt can be cut on the fold as a slim line or gathered, to give you more room through the hips. The dolman sleeve is one that provides a bit of sleeve for those of you who like to have a little bit extending onto your arms. The waistband is featured with a drawstring, but can be easily altered to insert elastic instead if this is your preference. 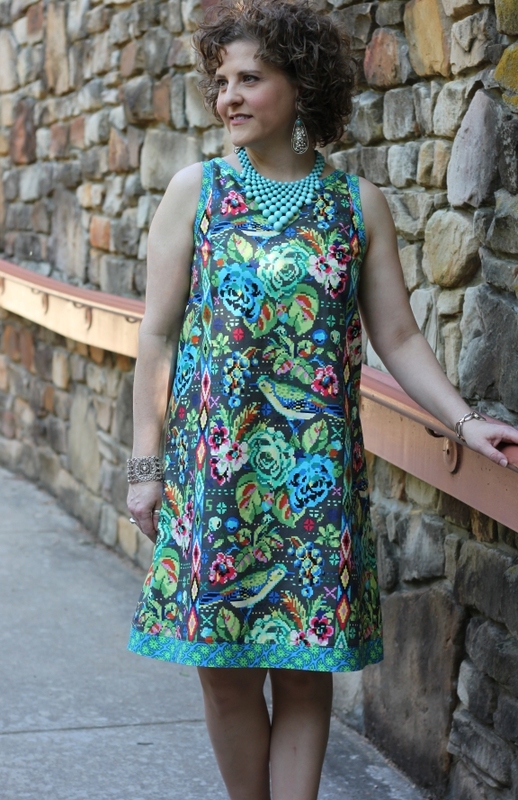 There are several hemlines featured, from tunic length all the way to maxi length. 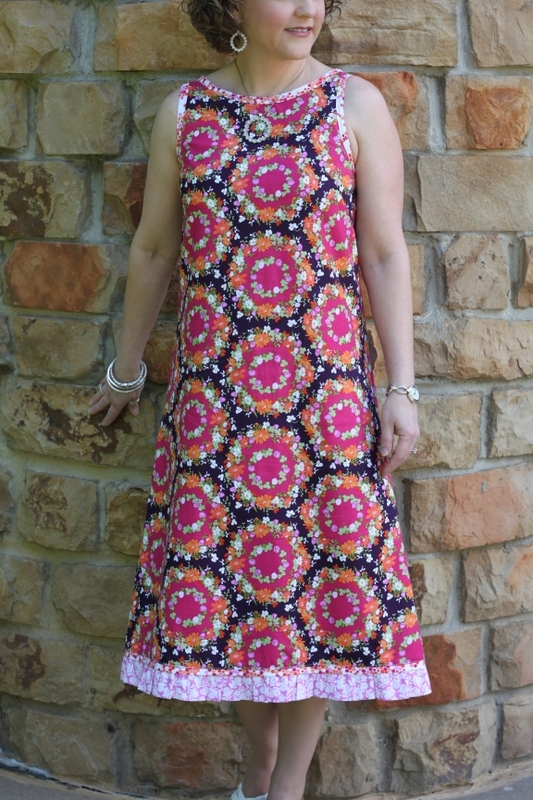 This dress works well in a variety of fabrics. Quilting cotton is always a great choice, but if you would like to try something different, here are some suggestions: double gauze, rayon, lightweight linen, cotton lawn or voile, and silk. This design works well with border prints as well. 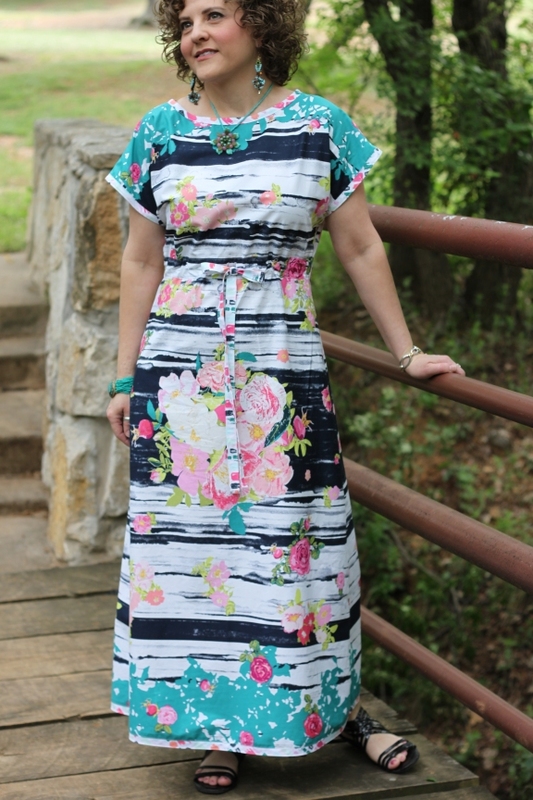 Mid-calf length in border print. and contrasting wide border at lower edge of skirt. 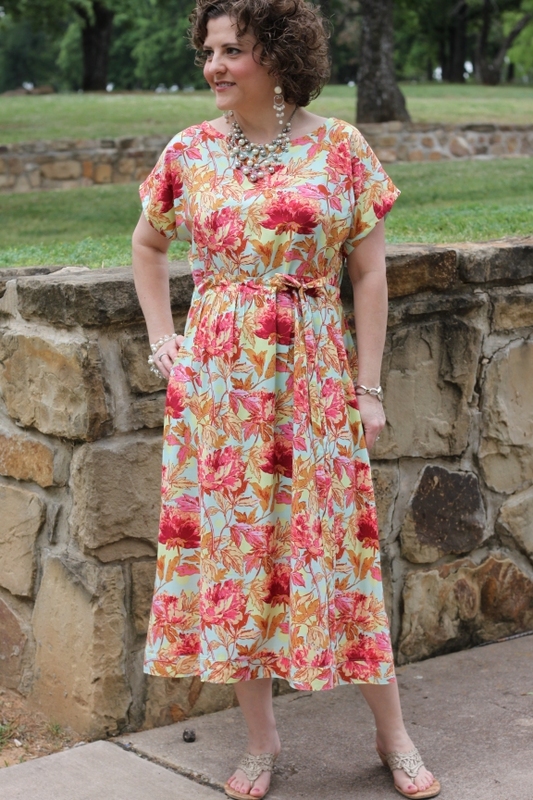 Knee length with contrasting layered and ruffle hem. 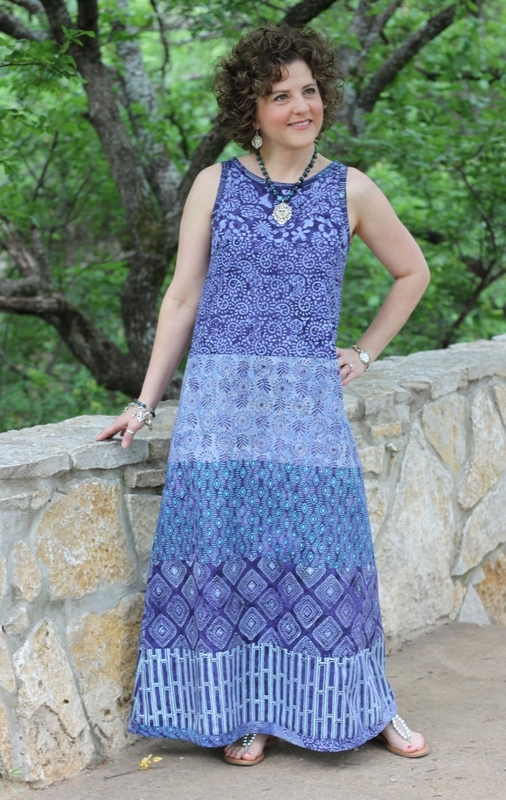 Heidi is available NOW on our website, so go pick up your pattern today. Spring 2016 Collection: Meet Mia! Hey Everyone! Now that the stock has arrived, it is time to introduce the new designs for spring! I have two new dresses, both of which are a snap to make and a dream to wear. 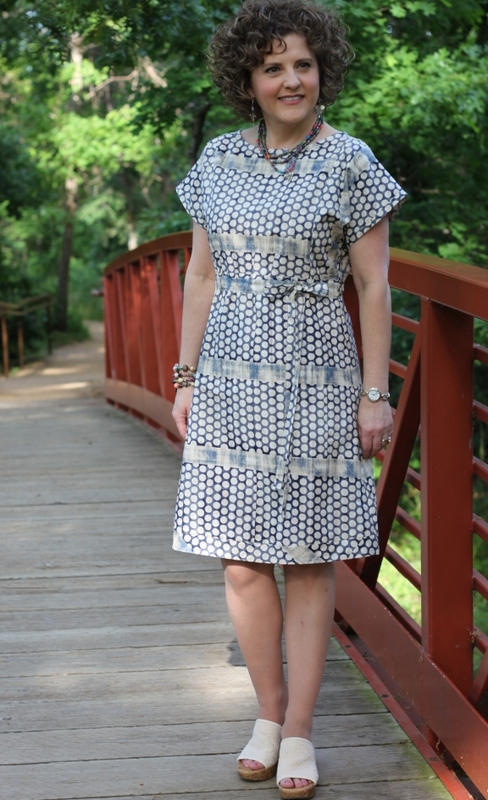 First up is the Mia Shift Dress. 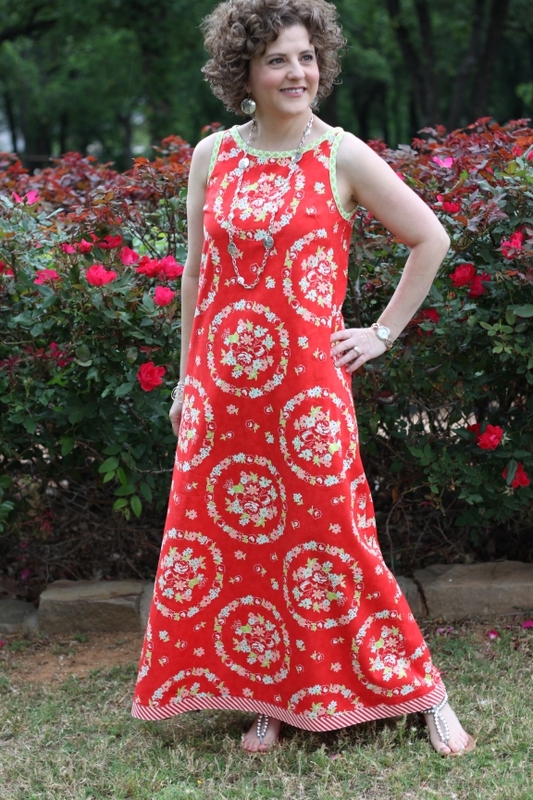 Truly, there are only TWO pattern pieces for this dress, simple darts at the bust line and back waist, with bias bound armholes and neckline. 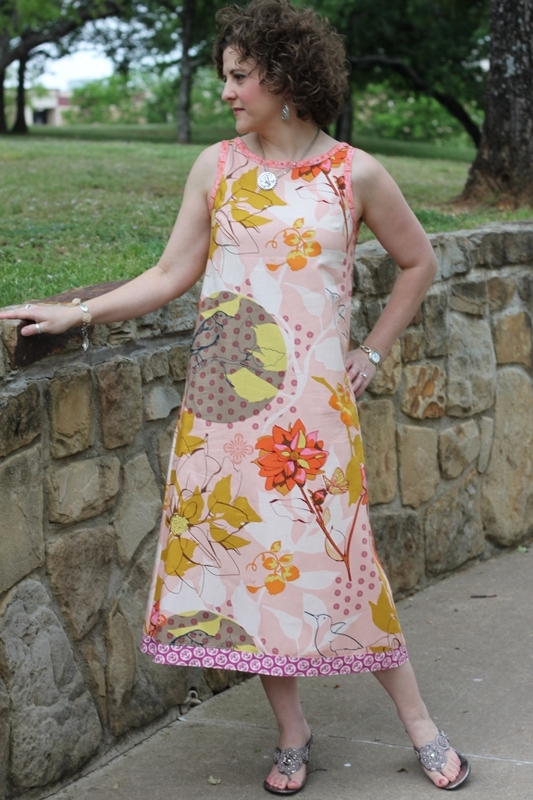 Choose your favorite fabrics and start sewing! 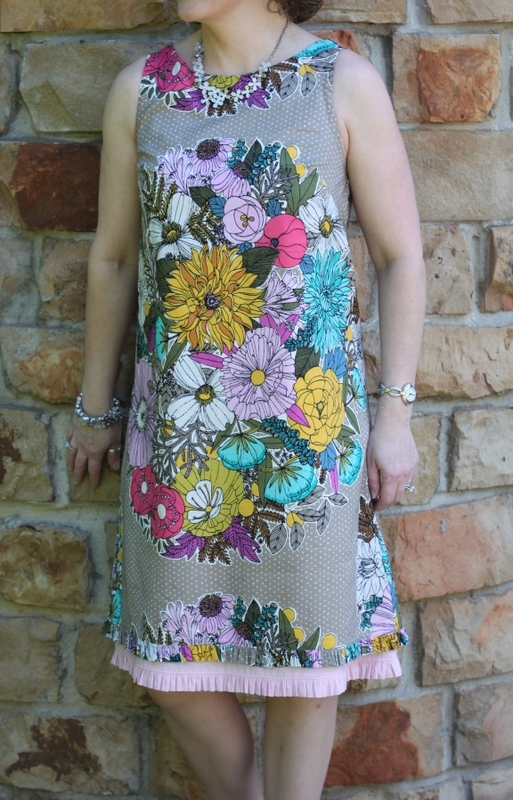 This design is great in so many different fabrics. 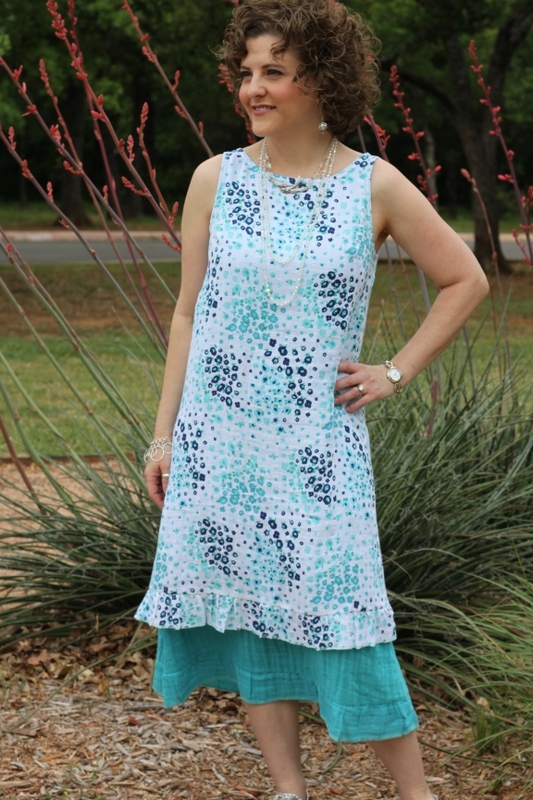 It works perfectly in quilting cottons as do all of my patterns but if you want to use other substrates, here are some suggestions: double gauze, voile or lawn, lightweight linen, knit, rayon, or silk. Some of my personal favorites are border prints and these work well with this design, so keep your eye out for those as well. Knee length with contrasting fabric and hand embroidery embellishment at the neckline. The motif of the fabric was followed to create the embroidery. 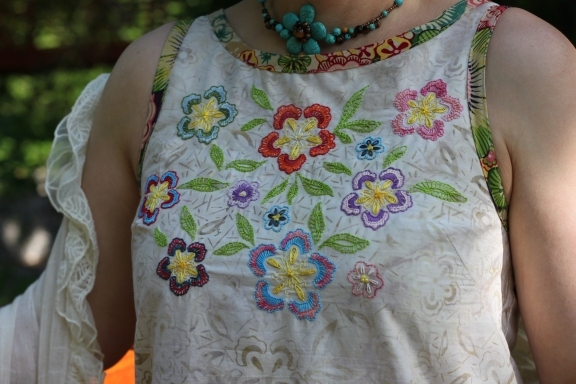 I used pearl cotton size 8 for the needlework. 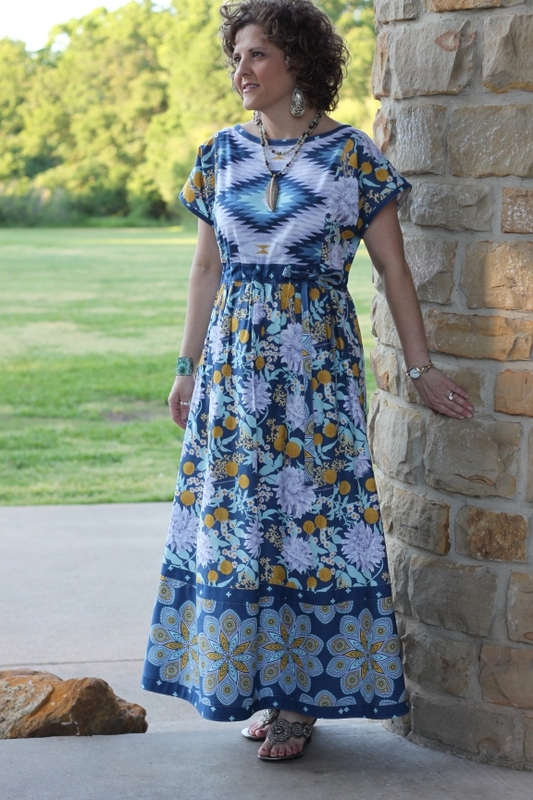 Maxi length using a collection of batik prints. The fabric is pieced before the pattern pieces are cut. Instructions in the pattern detail how to do this if you want to recreate the look. 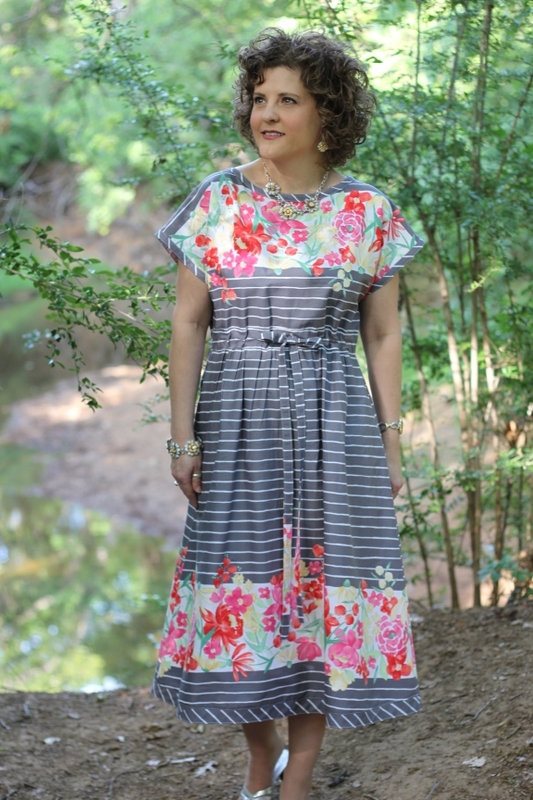 Above Knee length with 2 contrasting fabrics and pieced ruffle hemline. 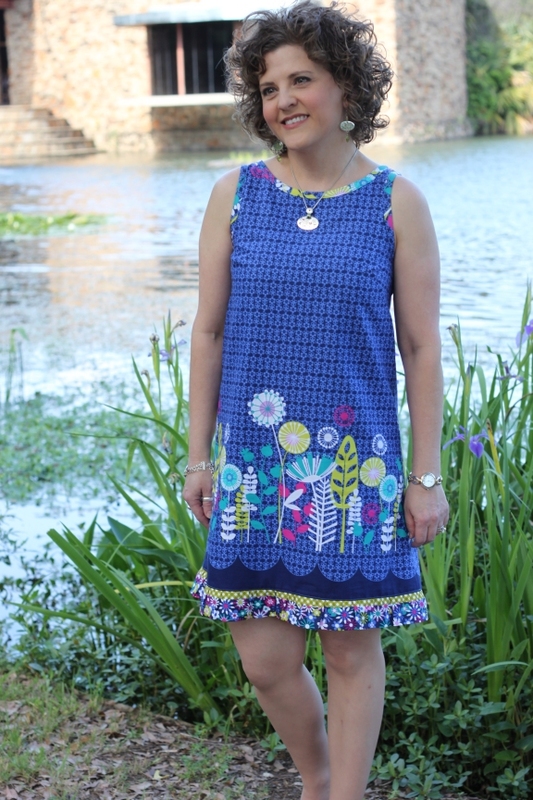 Hop on over to our website and pick up your very own Mia Shift Dress pattern today! And as always, Happy Sewing!